Full color embroidery and digitizing! From corporate apparel to sports apparel, we can stitch it all! 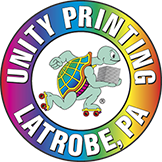 Call Charley @ 724-836-7777 to discuss your embroidery order!